Send this tempting and mouth watering Motichur Ladoo from Haldiram 1/2 Kg (Gross Weight) to add to the mood of any festival. with Roli Tilak and Chawal. 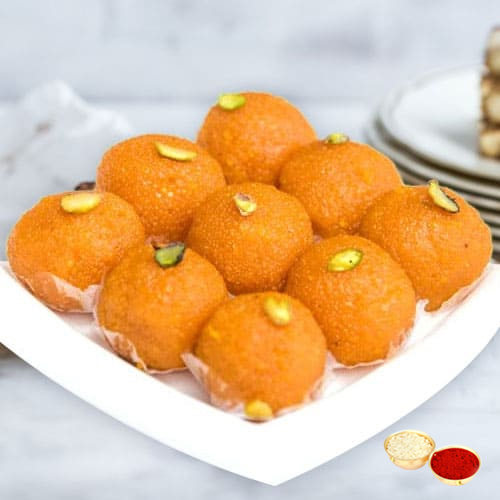 Send this tempting and mouth watering Motichur Ladoo from Haldiram 1 Kg (Gross Weight) to add to the mood of any festival. with Roli Tilak and Chawal.